As an older person in today’s society you have many legal rights as Melissa Chaperlin explains. The purpose of this article is to outline how the law in NSW assists you to protect these rights. So what are your rights you may ask? You have the right to choose who makes decisions for you when you can no longer decide for yourself. You have the right to legal advice and protection when making major decisions such as moving in with the family or entering into loans with the family. You have the right to a home free from abuse including physical and verbal abuse. How do you assert these rights? The laws of New South Wales are able to assist you. Who will make decisions for me when I cannot do this any longer? As we age the organisation of our affairs may cause us stress and we may want to have someone else look after our affairs for us. You make an enduring power of attorney and enduring guardianship document in advance whilst you have capacity. Capacity means you are a person capable of understanding a decision to be made, the facts involved, the choices, the consequences of the choices and how they affect you, and you can communicate your decision. You should see an independent solicitor of your own choosing when preparing these documents. An Enduring Power of Attorney appoints an attorney (or attorneys) with the right to make financial and legal decisions on your behalf. Whilst you have capacity an attorney is not able to override your wishes and must follow your directions once the document commences. 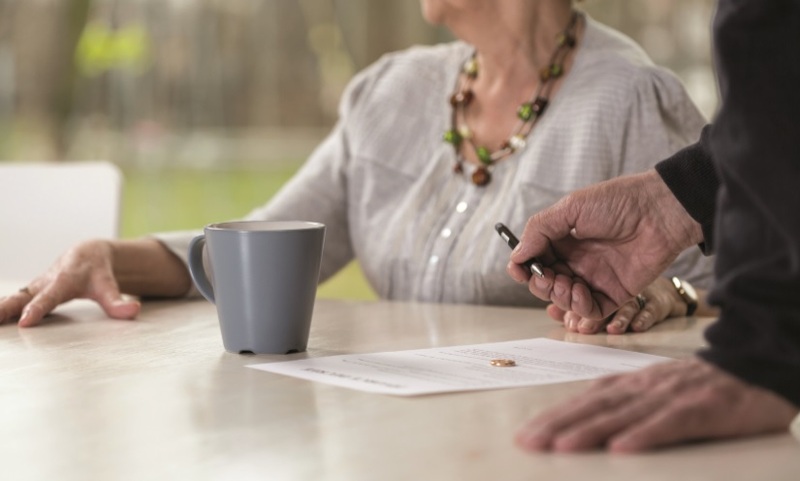 With an enduring power of attorney, if you lose capacity to make decisions yourself, the attorney can continue to make decisions on your behalf in your best interests. An Enduring Power of Attorney is a powerful document. The attorney can access your bank accounts, sell your home, or make any decision in relation to your money if of the view it is in your best interests. You can put instructions in the Enduring Power of Attorney to tell your attorney what decisions you would like made for you. The attorney has many obligations to you including, acting in your best interest, not engaging in any transaction that conflicts with your interest, keeping accurate financial records, keeping proper account of your dealings with property, acting within the conditions in the document, not benefiting from your assets unless expressly authorised. It is important that you trust your attorney implicitly so you should think carefully about who you appoint as your attorney. A Guardianship Appointment appoints a guardian the right to make decisions about accommodation, health care, personal services and medical and dental decisions. The appointment commences when you lose capacity to make these decisions yourself. Loss of capacity is different for a guardianship appointment as the ability to take care of yourself is taken into account, not just your mental capacity to do so. You should choose a guardian you trust to make decisions in accordance with your wishes who also has a close knowledge of your circumstances and the lifestyle that you are accustomed to. You should speak to your guardian and make sure they are willing to accept the appointment. What protections are available to me if I move in with the family? You may decide to enter what is often called a ‘granny flat’ arrangement. This is an arrangement between you and an adult child where you pay a financial contribution in return for the right to live in the property. You might want to build a separate house on your child’s property or renovate their property and add a second storey to the child’s house or buy a larger home with your child. What if there is a dispute about what you agree to at the time of the arrangement or in the future? You could lose the money you paid to your adult child and the law may presume you have given your child a gift. See your own solicitor and have the agreement recorded in writing. Think about what is to happen if the arrangement does not work out and you want to leave? Will the house be sold and your contribution returned? Have your name placed on the legal title to the child’s property. Contact Centrelink to find out how the arrangement will affect the age pension. You may own your own home and be on the age pension. Your child may approach you to use your home as security to help them with a loan. They may ask you to guarantee a loan in the child’s name with your house as security. They may ask you to take out a loan in your name against your house and undertake that they will make the repayments. They may want you to transfer your home to them so they can take out a loan. You should realise that it is “OK to Say No” in these situations. If there is a default in the repayments, then the bank will foreclose on your property as security and you will lose your home. Entering such arrangements also has implications for the age pension and your pension could be affected or you could lose your pension. However, should you decide to go ahead always seek independent legal advice. It is important to be aware that if you are on the age pension Centrelink only allows you to gift $10,000 a year or $30,000 over 5 years. Amounts above this level are assessed as a deemed asset and may affect your pension. Are you being abused in the home? Sometimes you might find yourself living with an adult child or family member or spouse and they become verbally or physically abusive. The law provides protection from such abuse. The police can be contacted where abuse occurs within the home and take out an Apprehended Domestic Violence order on behalf of the victim. This order prohibits the abuser from undertaking certain conduct and can prohibit the abuser from the home. If the person is elderly and there is concern about their welfare and environment the local Aged Care Assessment Team can also be contacted to assess the situation. If you require further advice and assistance you can contact the Seniors Rights Service on 1800 424 079 which has a legal advice line from 9am to 4.30pm or you can speak with My Aged Care in regard to getting an ACAT assessment. ◄ What is elder abuse?